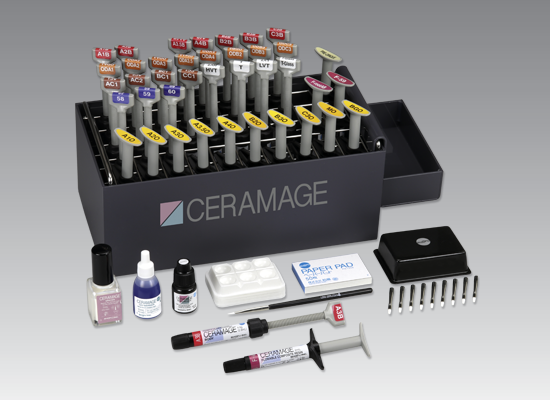 Ceramage contains 73 % by weight micro-fine ceramic particles, which are embedded in an organic polymer matrix and ensure excellent physical properties. The included light transmission is very close to natural dentine and enamel; hence Ceramage combines a natural colour reproduction with an extraordinary strength and elasticity and is the composite of choice for the production of any type of anterior or posterior restorations with any framework construction as well as highly stressed implant constructions. Please use Pre-Opaque, Opaque and Opaque effect compounds of the Universal Opaque system!